As the time for law school seat deposits rapidly approaches, many potential law students are wondering the same thing: How much does it matter which law school you attend? The answer, if we’re talking about legal careers, is “A lot.” Deciding which law school to attend is probably the single biggest decision you make for your legal career. Lawyers are a snobby bunch. They care about precedent, and they care about hierarchy. Attending a “prestigious” law school can open many doors, which will otherwise remain closed. That being said, of course, there are many successful attorneys who didn’t attend fancy law schools. In fact, some have suggested that graduates of less prestigious schools are actually more successful in law firms. It’s definitely possible to be a happy, successful attorney if you go to a less prestigious school. But, there are certain jobs (law professor, Supreme Court clerk, etc.) you’ll be hard-pressed to get if you make that choice. For most potential students, the single most important consideration in which law school to go to should be location. (This advice assumes you don’t have the option of one of the few truly “national” schools at the top of the prestige heap.) If you know where you want to practice, aim to go to law school in that area. There are several reasons for this. One, it gives you an opportunity to participate in the legal community for three years. You’ll have opportunities for networking, internships, and so on that simply won’t be possible if you’re not geographically located where you want to practice. Two, it shows you’re serious about the location. Especially in highly desirable areas (or highly insular ones), studying where you want to work shows that you’re committed to the area. No one wants to hire someone who’s just going to move in a couple of years, so sending the signal that you’re here to stay is valuable. Three, you can interview on a moment’s notice. When a desirable job opportunity comes up, far better to be ready to go! If you have to fly across the country for an interview, versus just popping across town, your options are far more open. Finally, it might help you pass the bar exam! Particularly for states with notoriously difficult bar exams (California, we’re looking at you! ), attending a local school can expose you to more of the law you’ll be tested on, making it easier to pass on the first try. The people you meet in law school, whether it’s professors, classmates, or alumni, are your professional network when you graduate. 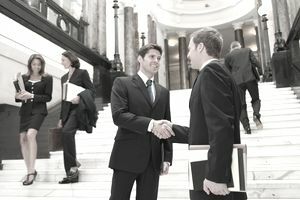 Of course, it’s possible to overcome the lack of a network where you want to practice and meet lawyers in the local area, but it’s far easier to keep in touch with law school friends and cultivate those connections over time! When deciding between different schools, ask about the strength of the alumni network. (And, even better, test it out by asking to speak with some recent graduates to see if they’ll talk with potential students.) A strong alumni network will pay dividends far into the future, so it’s something to look for upfront. Whether you’re pretty sure you want to work in a certain area of the law, if you’re keeping your options open, look at the opportunities each school offers to explore your career interests. Are there clinics and externships available to develop your practice skills? How competitive are these opportunities? Does the school offer a loan repayment plan for public interest work? If you have any interest in this option, investigate it thoroughly. How about jobs? What do the school’s job numbers look like? Can you trust them? Try talking to recent graduates, to get the real scoop on jobs and other opportunities, rather than just relying on glossy brochures from the schools!